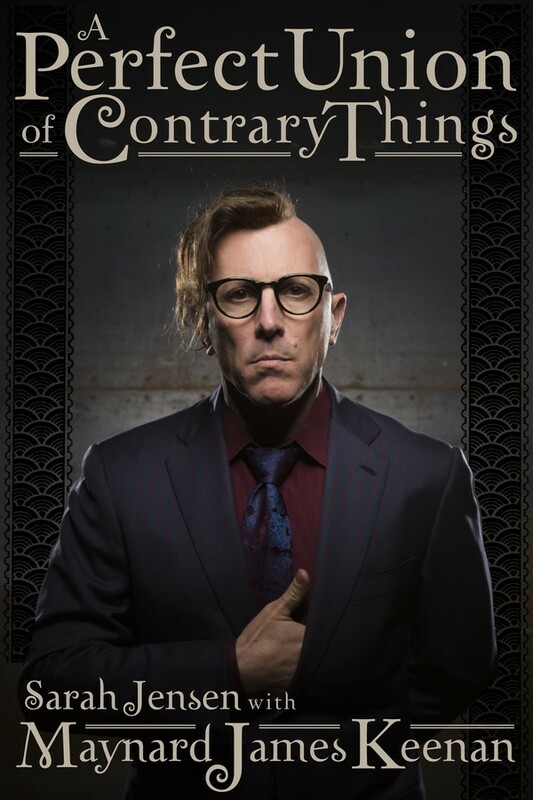 Last October, in an interview with Rolling Stone, Maynard James Keenan, frontman of Tool, A Perfect Circle, and Puscifer, and accomplished winemaker, let on that, in addition to his many other projects, he was working with writer/editor and longtime friend Sarah Jensen on an authorized biography. That interview fostered feverish speculation within the many online realms populated by Keenan’s fans and followers. A mere glimpse of the cover at online bookselling sites early this year led to a preordering frenzy months ahead of the book’s arrival. Until now, Keenan’s fans have had access to only an abridged version of his story. That all will change with the release of A Perfect Union of Contrary Things (Nov. 8, 2016, Backbeat Books, $29.99). A Perfect Union of Contrary Things presents the outtakes, the scenes of disappointment and triumph, and the events that led him to take one step after the next, to change direction, to explore sometimes surprising opportunities. Included throughout are passages in Keenan’s own words, often humorous anecdotes that illuminate the narrative. There is also commentary by his family members, friends, instructors, and industry colleagues. The book also features a foreword by Alex Grey, an American visionary artist and longtime friend of Keenan. Featuring photos of Keenan from childhood to today, A Perfect Union of Contrary Things presents Maynard James Keenan’s story as a metaphor for the reader’s own evolution and an encouragement to follow our dreams, hold fast to individual integrity, and work ceaselessly to fulfill our creative potential. SARAH JENSEN grew up in rural Michigan in a family of storytellers. A writer and editor, her work ranges from creative nonfiction, journalism, and poetry to strategic messaging and developmental editing. Her 29-year friendship with Keenan gives her unique insight into his philosophies, his career trajectory, his struggles and joys, and his preference in omelets. MAYNARD JAMES KEENAN is an internationally revered musical artist and a vintner. He is best known as the vocalist in the bands Tool, A Perfect Circle, and Puscifer. Keenan is also the owner and winemaker of Caduceus Cellars winery in Jerome, Arizona.